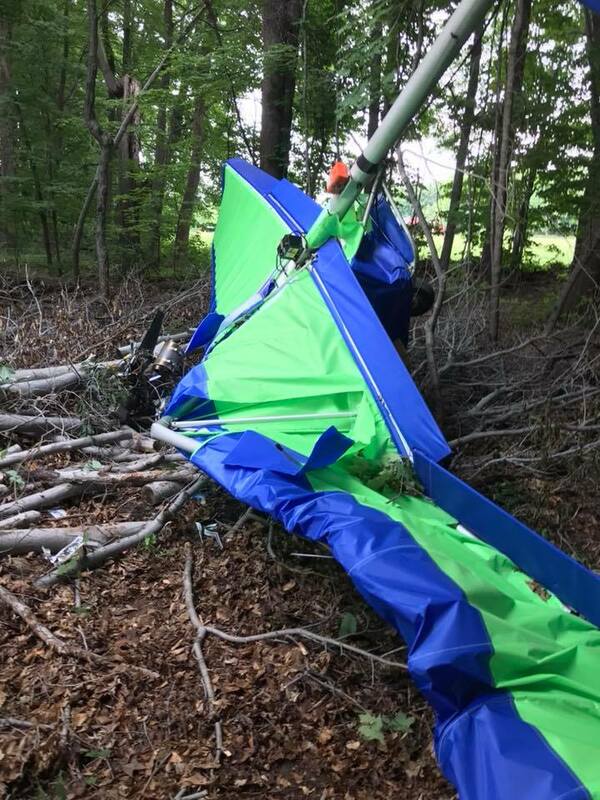 On July 27, 2018, about 1700 eastern daylight time, a Flightstar SC II, N593RJ, sustained substantial damage when it impacted terrain during approach to land on runway 2 at the Concord Airpark (2G1), near Painesville, OH. The pilot received serious injuries and his passenger received minor injuries. The airplane was registered to and operated by the pilot under the provisions of 14 Code of Federal Regulations Part 91 as personal flight. Visual meteorological conditions prevailed for the flight, which was not on a flight plan. The local flight was originating at the time of the accident. This evening, July 27th, just after 5 PM, the Lake County Sheriff’s Office responded to a reported plane crash in Concord Twp. 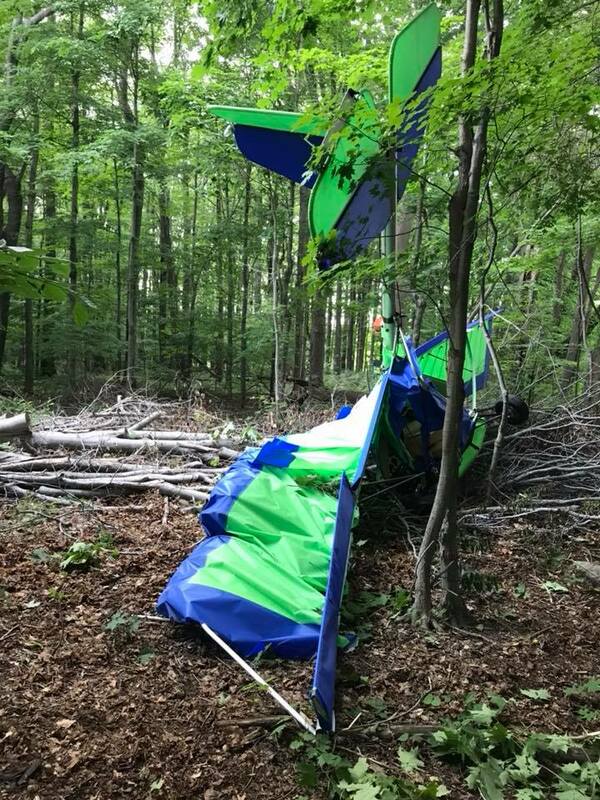 Upon arrival deputies found that an ultralight plane made an emergency landing in a wooded area behind the homes on Summerwood Drive in Concord Township. Both the male and female passengers have been transported to the hospital for evaluation by Concord Township Fire. Although this accident is in our patrol area it will be investigated by the Ohio State Highway patrol who is responsible for investigating such plane accidents. Future inquiries regarding this accident can be referred to the Ohio State highway patrol post in Chardon. CONCORD TOWNSHIP, Ohio - An ultralight aircraft made an emergency landing in a wooded area in Concord Township, and two people were taken to a hospital, authorities said.